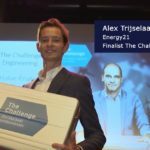 In The Challenge Engineering 2018, our colleague Alex Trijselaar, Product Manager, presented Energy21’s industrial solution as the best innovative solution to fight climate change. 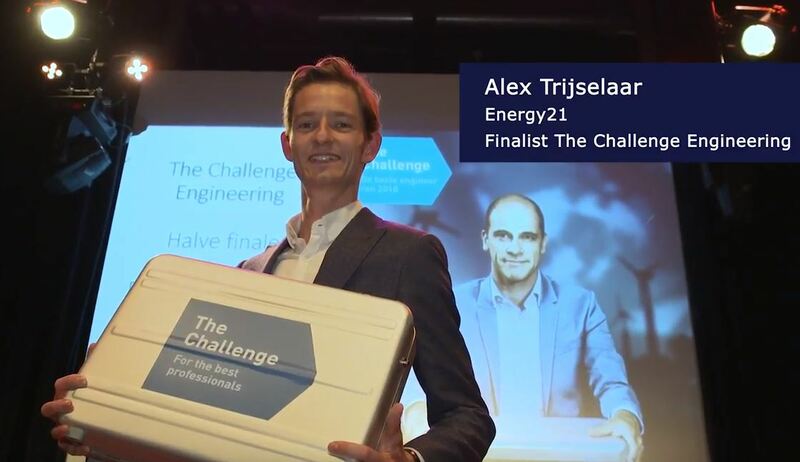 After an exciting selection procedure, Alex was nominated as one of the final three to present the best solution for the climate case originated by KIVI. He presented Energy21’s industrial solution that focuses on digitalizing the energy processes of larger industrial sites. You can review his introduction here, or review the final pitch on Youtube (in Dutch). The concept of industrial symbiosis is that various industrial processes benefit from each other’s presence. Key in being able to make waste streams useful is a clever utility planning. 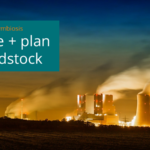 Or as we like to state: waste + plan = feedstock. 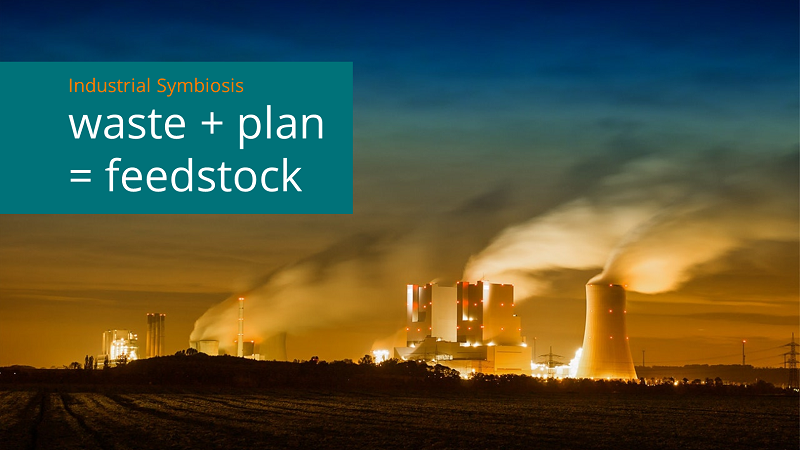 Industrial symbiosis saves raw materials and energy, minimizes emissions, cuts logistics costs and exploits synergies. The concept can be applied to multiple sites being connected, as well as having dependencies in internal processes. An interesting example of this concept is the “Verbund” mindset of our client BASF. On complex industrial sites the primary production processes and energy & utilities processes are strongly interconnected. Most obviously, the demand for energy and utilities is dependent on the intensity of the production process. An accurate translation of production planning to energy and utilities demand is therefore key to avoiding excess energy generation. 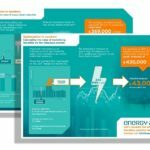 Where excess electricity can be fed into the national grid, excess steam and utilities are often wasted (check this infographic on creating value of excess steam). There are several ways of improving your energy and utility planning. Assuming the translation of production plans to energy demand is accurate, the starting point is to create insight in the accuracy of the demand plans of individual plants. Creating awareness of these numbers will often lead to a natural improvement in accuracy. Next, ex-post analysis of plan data versus actual demand can indicate structural deviations, which can be accounted for in the planning process. Finally and when applicable, you can use advanced algorithms to create demand forecasts based on weather data and other relevant parameters. If your operation contains exothermic processes and/or useful waste streams, utility planning becomes more interesting and complex. You can feed waste heat of exothermic processes back into the steam network, while combusting waste streams in boilers to generate ‘free’ steam. If production plans fluctuate heavily over time, so will waste streams and energy demand. Key in these situations is to smartly combine all relevant parameters to reach the most optimal planning. One example is to schedule maintenance activities in periods when less waste streams are expected, in an attempt to match a reduced flow of free steam with reduced demand. We can help you to improve your utility planning! Working on a more sustainable energy future is not only a noble effort in relation to future generations, but can be financially attractive for current business as well. The two infographics below back up this statement with numbers and offer a calculation method that can help you seize the value of your optimisation potential. Both are based on our experiences with our client group of (industrial) energy users. All the projects that we are working on within this group share a strong digitalisation aspect, in which raw sensor data are aggregated to higher-value context information. By making this information available at (near) real time, operators are capable of seizing opportunities that occur either on the market or within their own processes, without jeopardizing security of supply. These are typical first steps towards an Industry 4.0 operation. For example, a medium sized plant with 30 ton / hr production could save €369,000 / year from literally disappearing into thin air while decreasing their CO2 footprint. How? Check this infographic! For example, by capturing 5 minutes of every high imbalance price PTE in 2017 a medium sized industrial site with 10 MW of flexibility could have created power revenues of €430,000 while supporting stability of the grid. How? Check this infographic! Call Thomas Crabtree (+31 6 3085 2747) and find out how you are able to calculate the value of your optimisation potential. 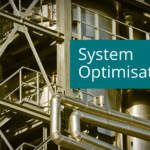 Or check our dedicated web page for industrial energy optimisation. Traditionally, energy optimisation methods for industrial energy users have focused on thermodynamics of core processes. 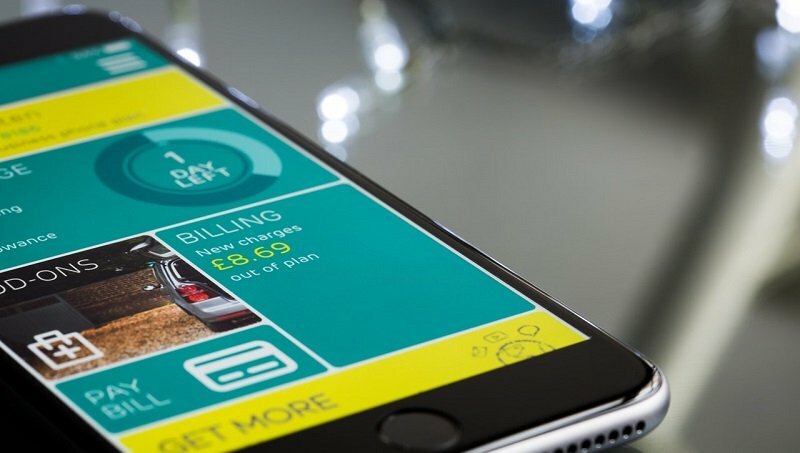 With the ever increasing possibilities of digital technologies and energy analytics, opportunities arise to subsequently optimise related processes such as consumption planning, procurement and asset dispatch. Combining internal with external optimisation creates synergies boosting business results. We call this System Optimisation. By adopting analytics in industrial energy operations, relevant data from multiple sources can be combined in the energy planning process. A key aspect while combining sources is to create uniformity in data received. This can e.g. include aggregating time series to fixed intervals, converting data into different units and aggregating measurements to the desired portfolio level. When data has been uniformed, a data structure can be created to greatly ease the analysis process. Typically these data structures are constructed by creating different sectional views of your site. Once the uniformed data structures are in place, System Optimisation can be applied. 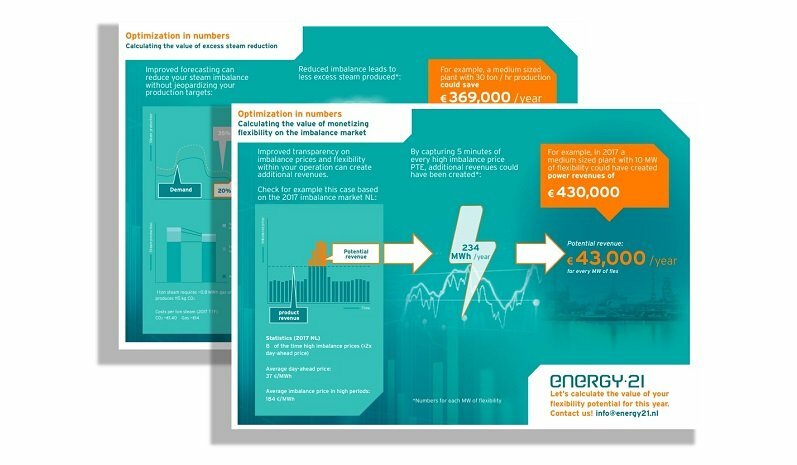 Assuming the efficiency of your energy generating assets has long been optimised, it is time to look at how much energy is generated and at which costs. Starting point will generally be to have enough energy available for your primary production process at all times. Accurate energy demand planning is therefore essential to avoid excess generation. Another route is to increase production during times overgeneration cannot be avoided. This can be the case when contracts (e.g. for ancillary services) prevent your energy assets from ramping down, or if steam production from waste streams exceed current demand. Preventing this requires an easy-to-access overview of contractual obligations, both on the production side as well as on the energy generation side. While temporarily reducing production because of high energy prices is generally not considered feasible, increasing production during times of low energy prices is often a possibility. This requires at least an up-to-date overview of day-ahead and intraday prices, but might also require a real time imbalance price forecast. 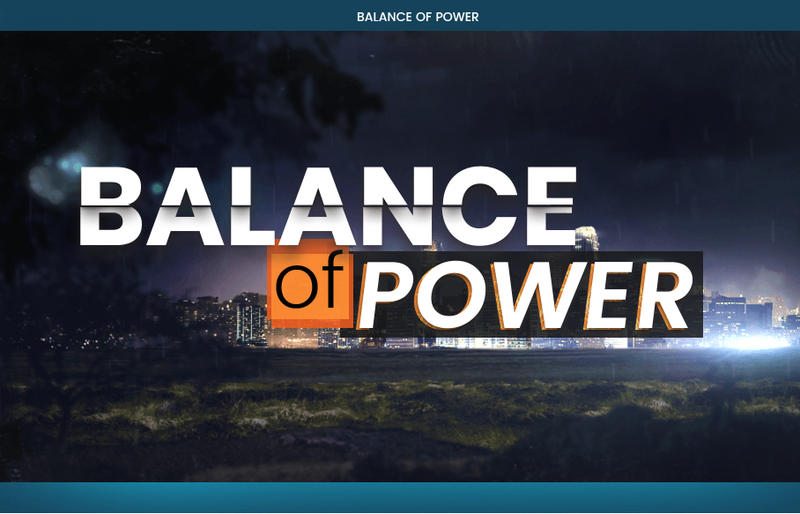 By combining the latter with a real time view on portfolio imbalance, opportunities on the imbalance markets can be seized. Many other internal and external conditions can be taken into account, e.g. grid capacity contracts and emission reduction obligations. 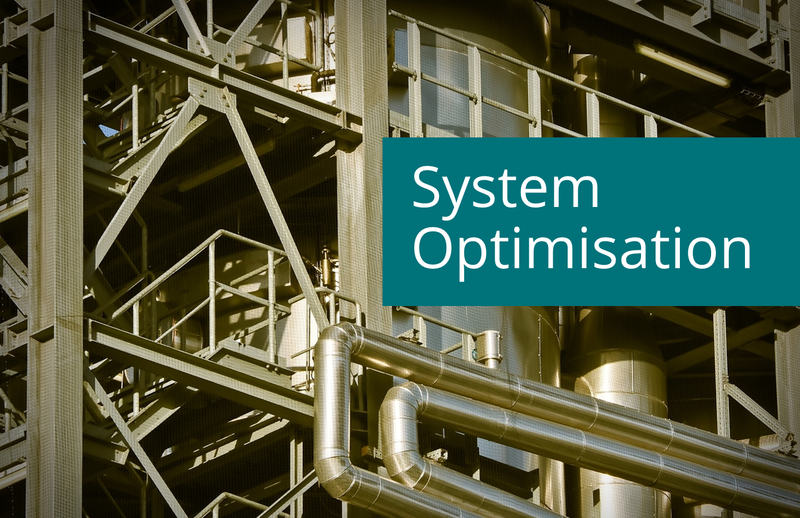 We can help you to achieve system optimisation using energy analytics! 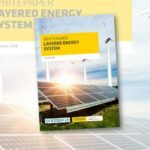 Stedin and Energy21 designed the Layered Energy System (LES) based on the USEF framework. LES is a community-based market model that offers solutions to a variety of existing and future problems resulting from the energy transition. The next step in development of the Layered Energy System is doing a proof of concept in a real life local market setting. The project is looking for technology partners. Together with technology partners ABB and Enervalis, Stedin has found a location (Hoogdalem) in its grid area where a group of households are willing to participate in the first pilot project. Advanced technology, such as Heat pumps, Batteries, PV, internet-connected appliances (e.g. Laundry machines), is present in these houses enabling a full test of all functions of the Layered Energy System. The application will be a proof of concept and must be compatible with the blockchain of the Energy Web Foundation Tobalaba test network. Interested to become a technology partner? For more information, check Stedin’s RFI documents or contact Michiel Dorresteijn in case of any questions. Check our dedicated expertise page The energy system – Market model design to read more about the Layered Energy System. 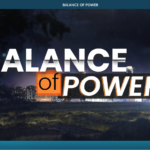 We see new parties entering the Power Balancing market that wish to integrate BRP functionalities and data directly into their applications. Based on the size and character of their portfolio, they do not require a standard, full stack solution to handle their BRP obligations. At Energy21, we aim to match our data management solutions with the innovative character of our clients’ energy businesses. We are proud to have recently welcomed our first customer that is accessing their BRP data and energy data management functionalities via our API-based web services. These services cover all required market processes such as nominations, register management, allocation, settlement and reconciliation. 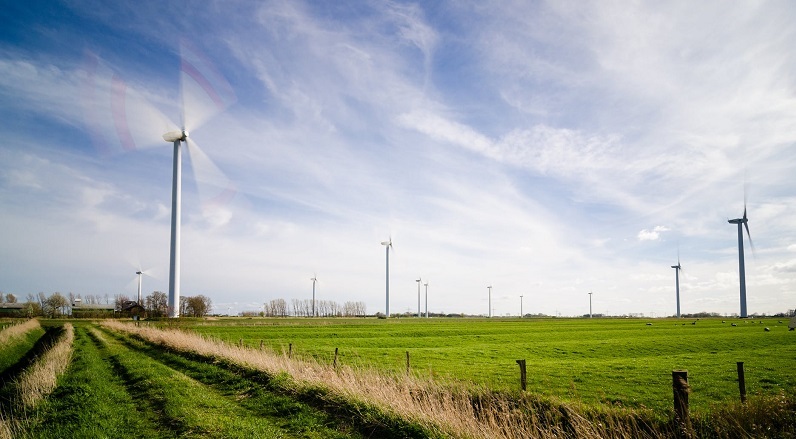 For example, in the Netherlands these services include direct market communication with EDSN, grid operators and TenneT. Benefit from extras such as APX forecasts, allocation completeness check, etc. The means to produce energy by yourself and to participate in an energy market are becoming available for anyone. Information and data can be obtained and analyzed with easy-to-use apps and increasingly (artificial) intelligent algorithms. At the same time, costs of solar panels, fuel cells and storage systems are plummeting, while the technical performance is being improved. In other words: Energy is democratized. The Manifesto of Initiate! describes that process spot on.The world of energy is changing rapidly and this new order requires a new economy with new roles and responsibilities. That being said, the next step might prove to be the bigger challenge. The Manifesto describes the need for something new, but has not yet reached the point of offering an approach on how to solve that. And the initiative is far too valuable and needed (!) if it would restrict itself to formulating the problem. Especially the fourth prerequisite is very important. Scalable means that a system can start on a small scale, but can grow without needing a complete ‘bing bang’ replacement of the existing system. A revolution will only lead to resistance and struggle with vested interests. 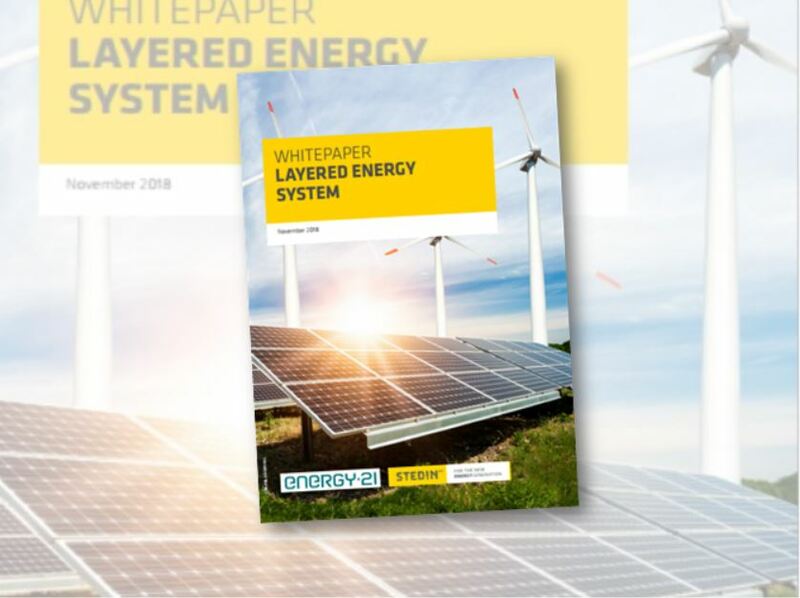 With the Layered Energy System, we have designed and described a system that can accommodate both the existing and the new energy economy. In my opinion, the strength of Initiate!’s message will be defined by the remedy for the sore spot that is offered, not only by putting the finger on it. Otherwise, very true observations may become hollow statements. Based on what can be read in the Manifesto so far, I am eagerly and expectantly looking forward to what this initiative will bring. Check our dedicated expertise page on energy system and market model design or contact Michiel Dorresteijn. Where large industries and commercial energy users traditionally focused strongly on asset technology, digital technologies enable (near-) real-time steering of your energy operation. Energy21 specializes in making energy related data work for you. We support the complex operational decisions that arise in this process. Including smart meter data management is essential to help you capture and capitalize energy optimization opportunities. Data needed to optimise energy operations is often readily available, e.g. from SCADA or DCS. The problem however is that this data is generally stored unprocessed, unstructured and non-uniform. By applying a smart meter data management solution your data can be made available to anyone involved in process optimisation. 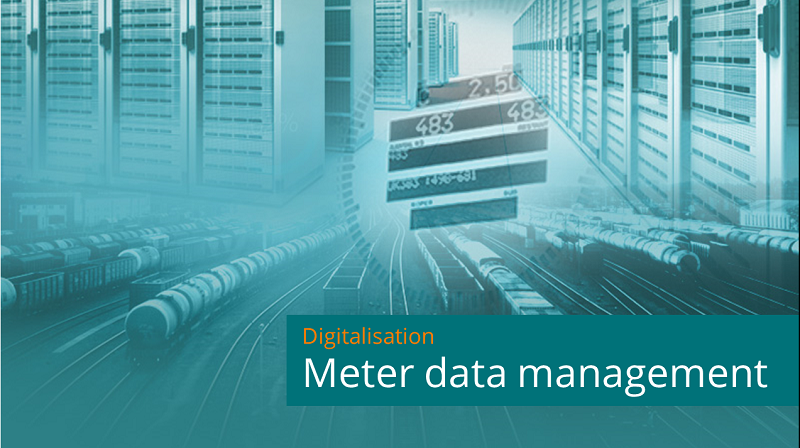 Meter data management (MDM) is essential for combining data from different sources relevant for your operational decisions. Typically this includes actual measurements, production plans, energy prices, weather forecasts, technical capacities and many others. An MDM system has two essential features. First, it automatically validates and corrects measurement data. Second, it creates uniformity between time series, e.g. by converting from volume to capacity data or by aggregating to standardised time intervals. Our MDM solution EBASE has a particular focus on structuring data. Instead of having one big database where only those who know what to look for have access to data, we structure data according to your business topology. This makes it much more intuitive to work with available data sources. This way, energy data becomes available for all relevant departments: from energy procurement, to utility planning, to internal invoicing. One of the most powerful digital applications for your energy operation is using data to support operational situations that require swift and accurate decisions. For example when an energy generating asset trips or when a short term market opportunity arises, you want to have all relevant data available to your operators. This way, you allow them to take exactly those steps to handle the situation in the best possible way. Step one in this process is to analyse different scenarios that can occur and define the possible solutions, taking into account all relevant internal and external conditions. By capturing this business logic in an automated solution it becomes available to operators at all times. Next, the output of this business logic will be the input for predefined workflows. These will assure that all steps required to correctly handle the situation are executed correctly. We can help you capture and capitalize optimisation opportunities!